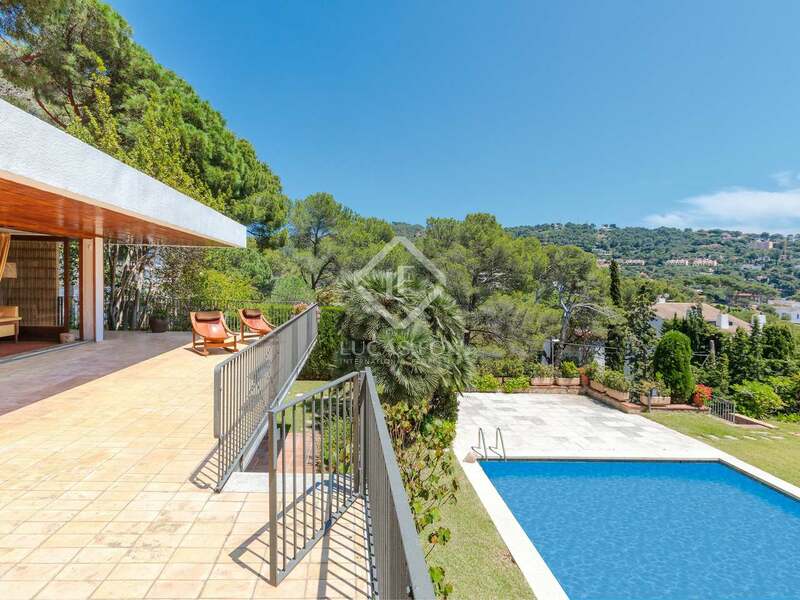 Rare opportunity to acquire a spacious home with a large garden and swimming pool just 200 metres from Llafranc beach with stunning sea and port views. 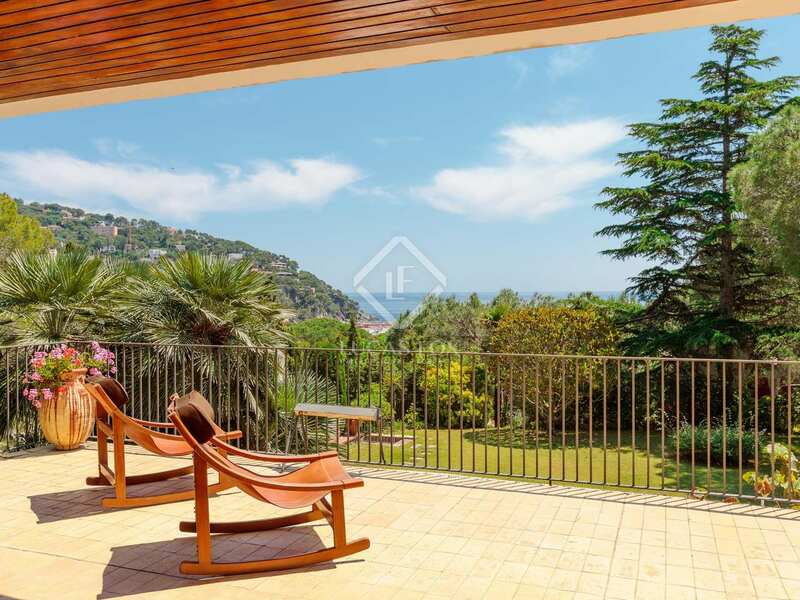 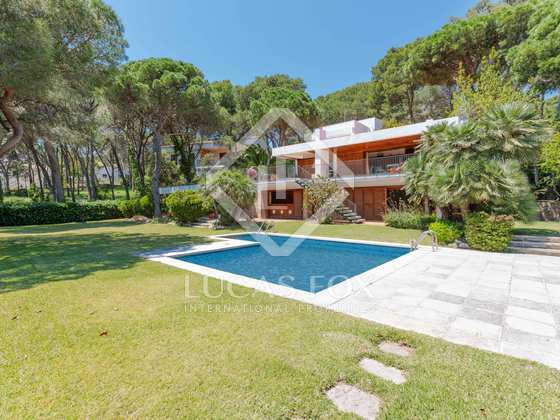 Overlooking the sea and the port of Llafranc on a large leafy plot of more than 1,500 m², we find this 400 m² villa, located just 200 metres from Llafranc beach and the seafront promenade, enjoying plenty of privacy. 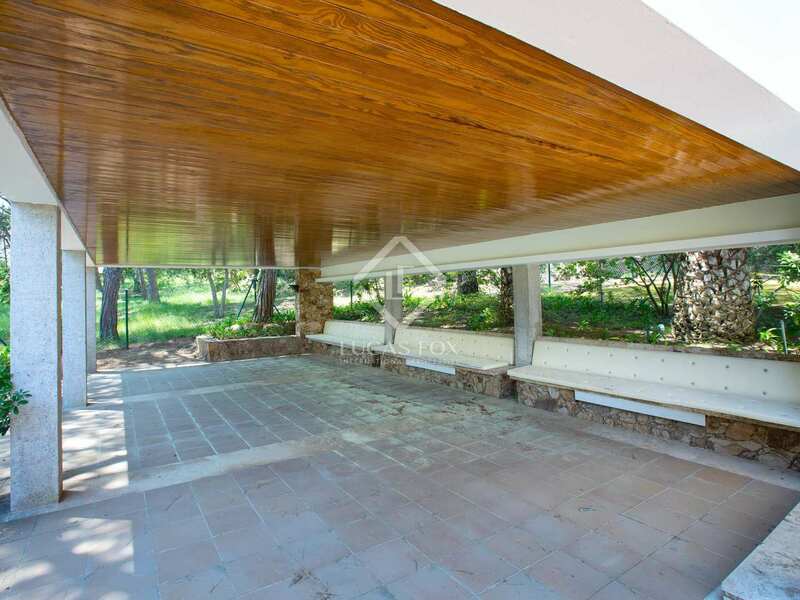 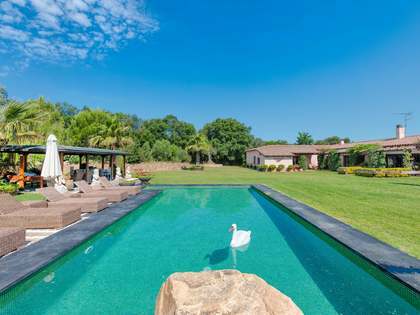 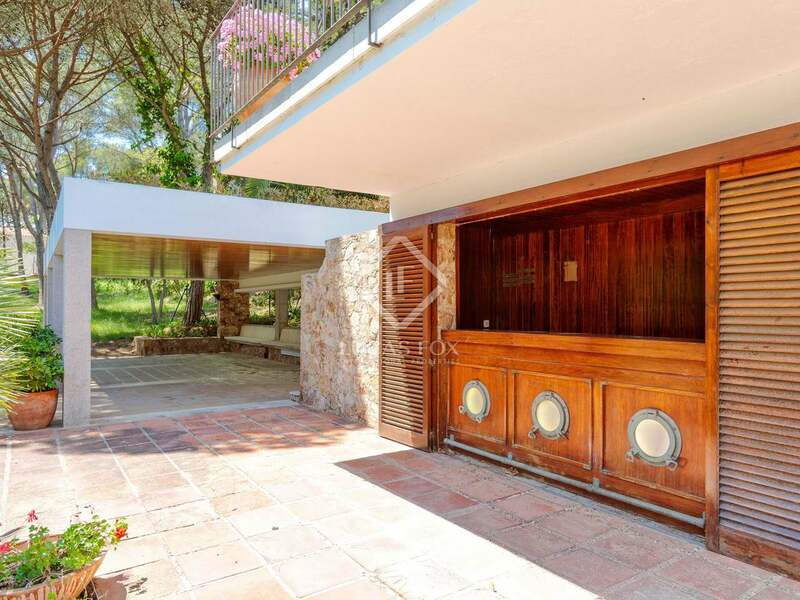 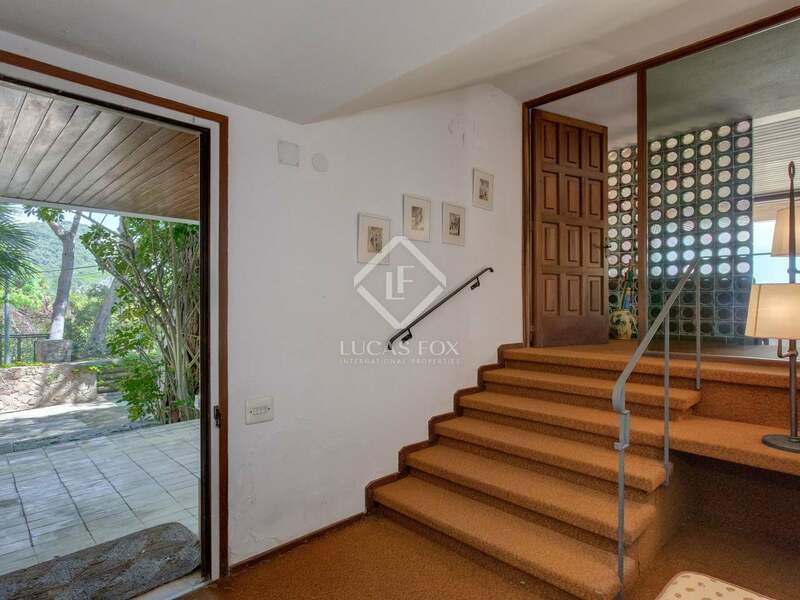 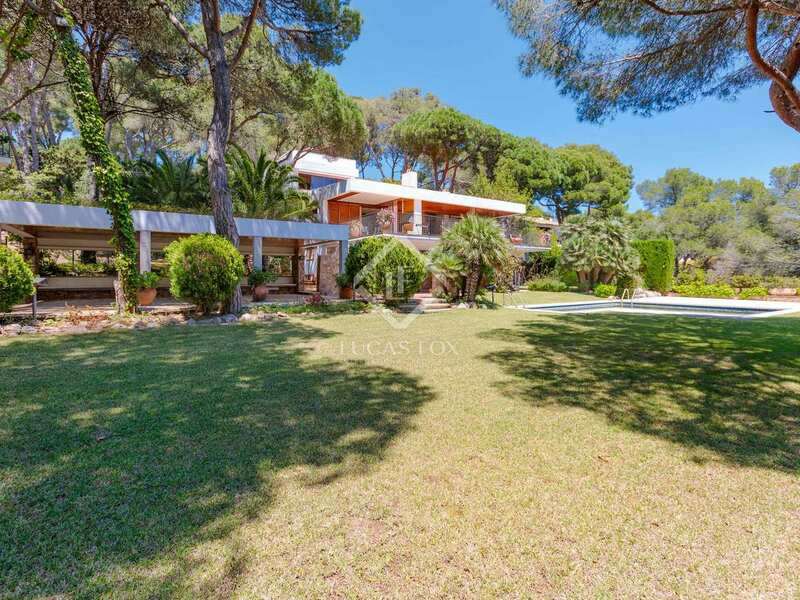 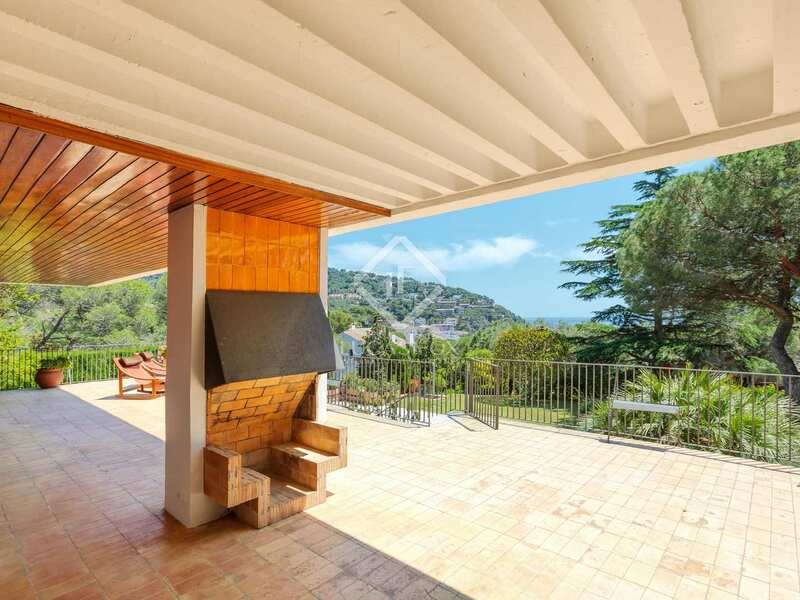 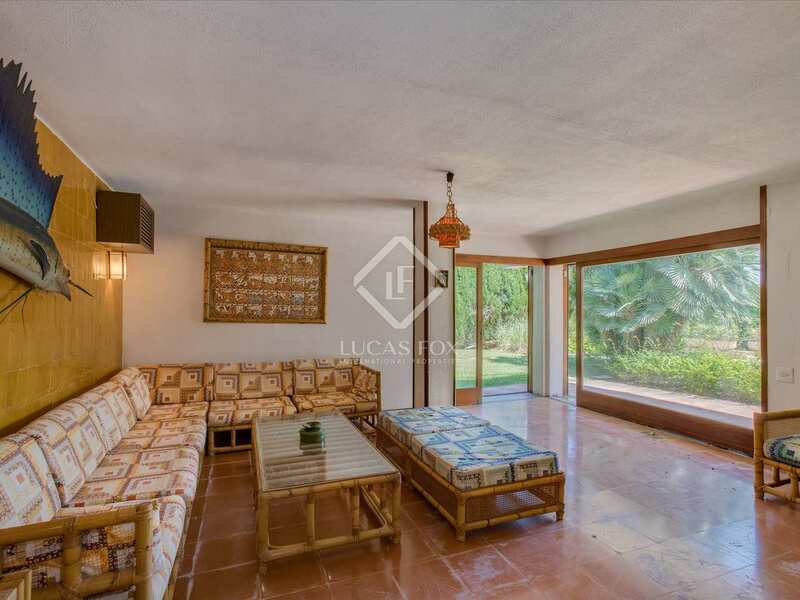 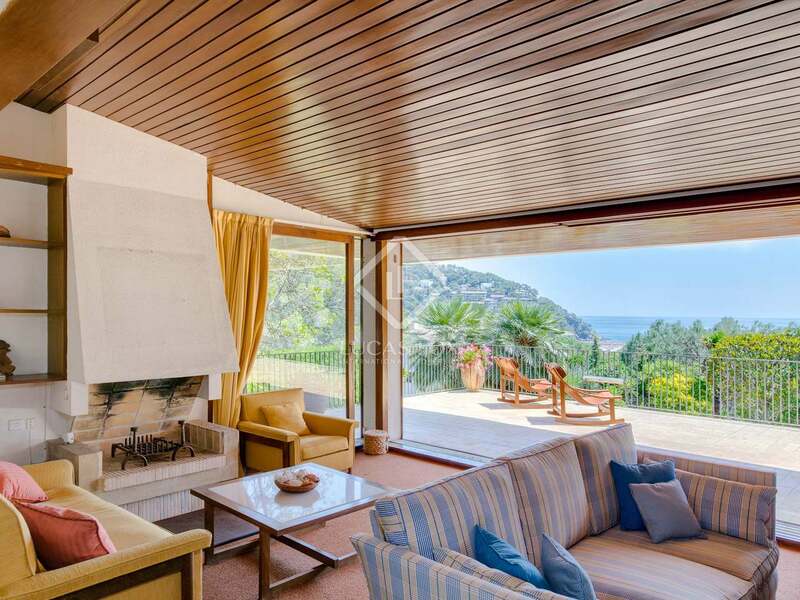 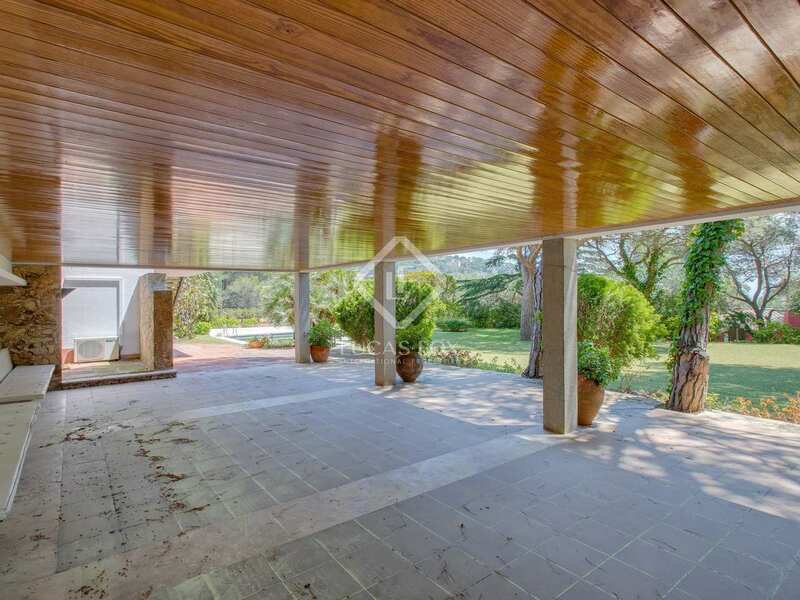 The property dates back to the mid 1960's and with some cosmetic updating can easily become a spectacular luxury property in a prime Costa Brava location. 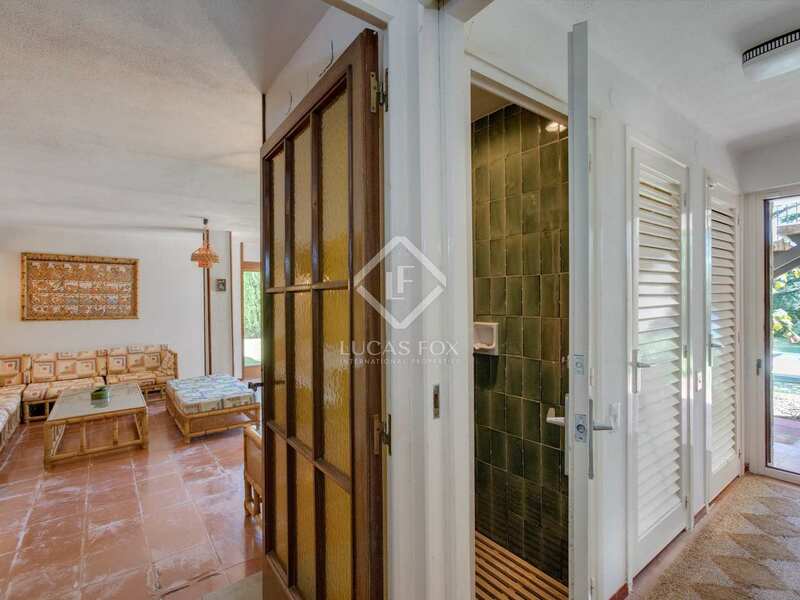 On the ground floor we find a spacious summer living room with direct access to the beautiful garden with its pool, a large summer porch with a bar and the pool shower and changing room. 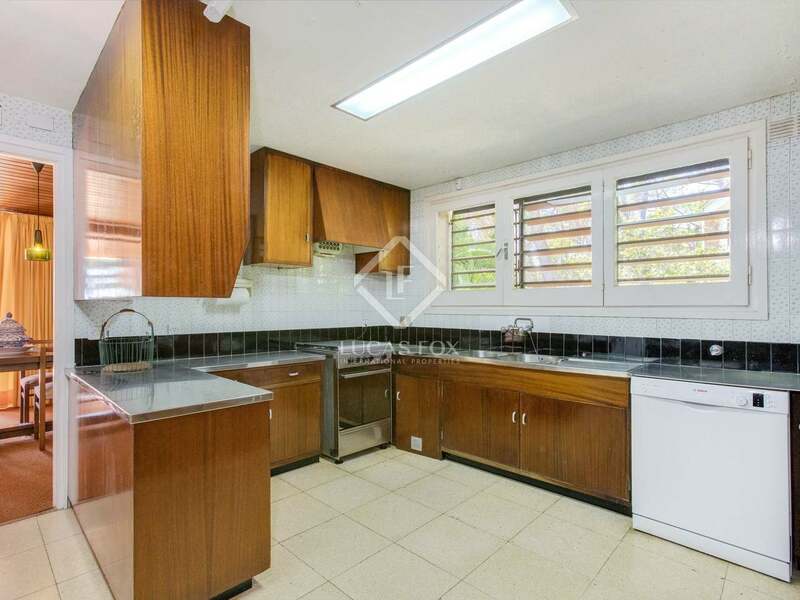 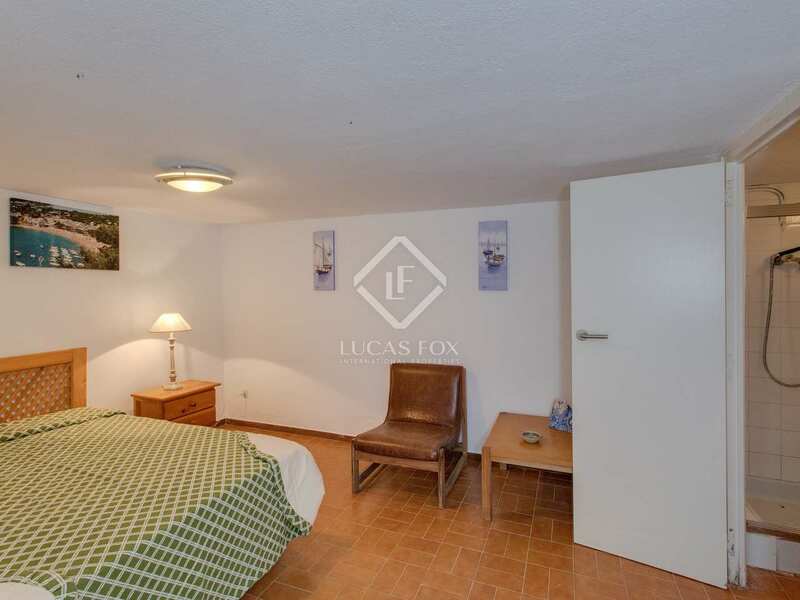 A double room, 1 bathroom with a shower, a laundry and a storage area complete this level of the home. 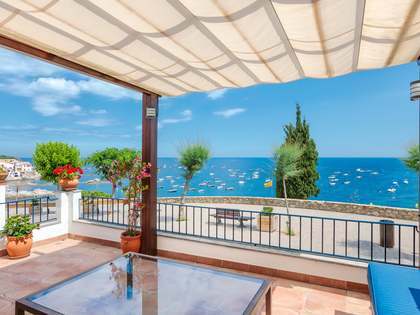 The main floor offers another spacious living room with a fireplace and views of the sea, with access to a fantastic terrace with sea views and a barbecue area, equipped kitchen, 3 double bedrooms, as well as 2 complete bathrooms with bathtubs. 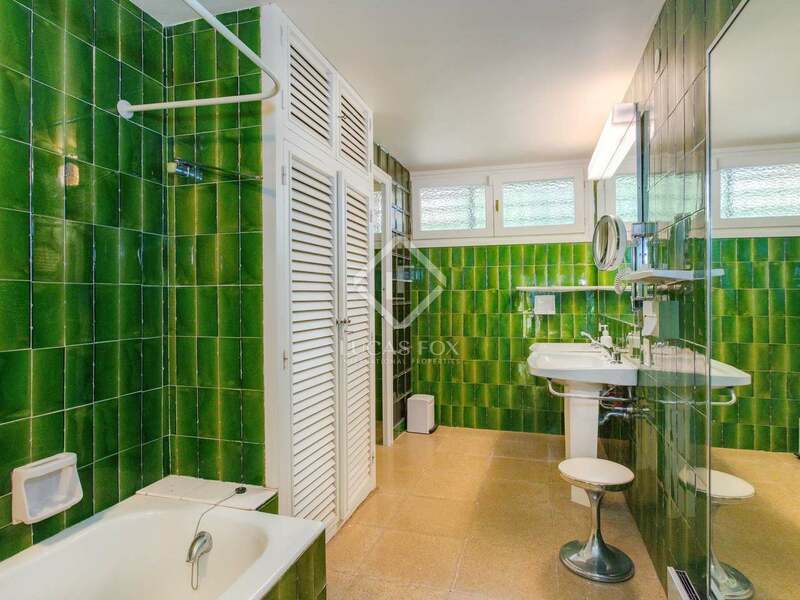 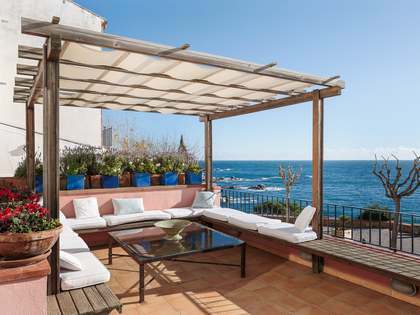 On the first floor there is a spacious suite with open views of the sea and a complete bathroom with a shower. 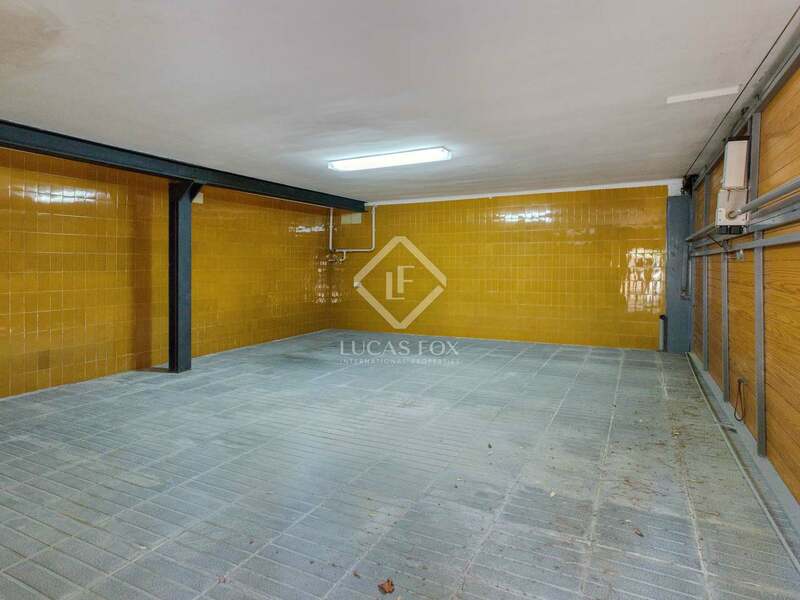 A large garage for 3 cars is found on the lower ground floor. 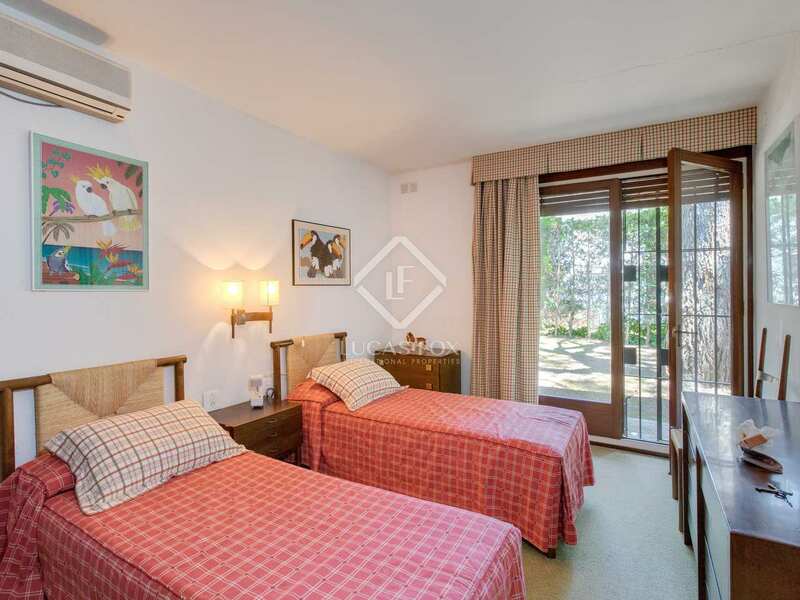 In addition, the property offers independent accommodation for staff that is composed of a bedroom and bathroom inside the same house. 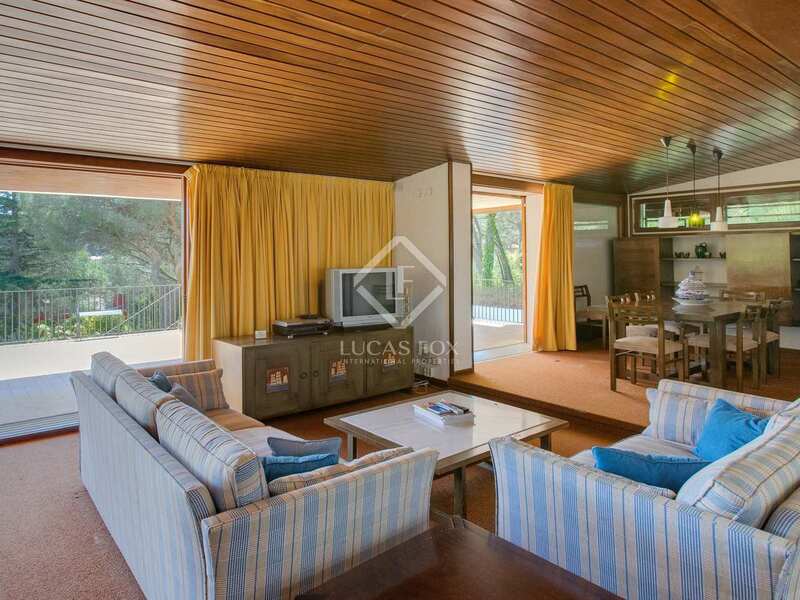 Fitted with electric heating and air conditioning systems, the house maintains a comfortable temperature all year round and the sunny southern aspect of the property provides abundant daylight in the interiors as well as good sun exposure in the garden. An unmissable opportunity for those seeking a spacious home with a large garden next to Llafranc beach. 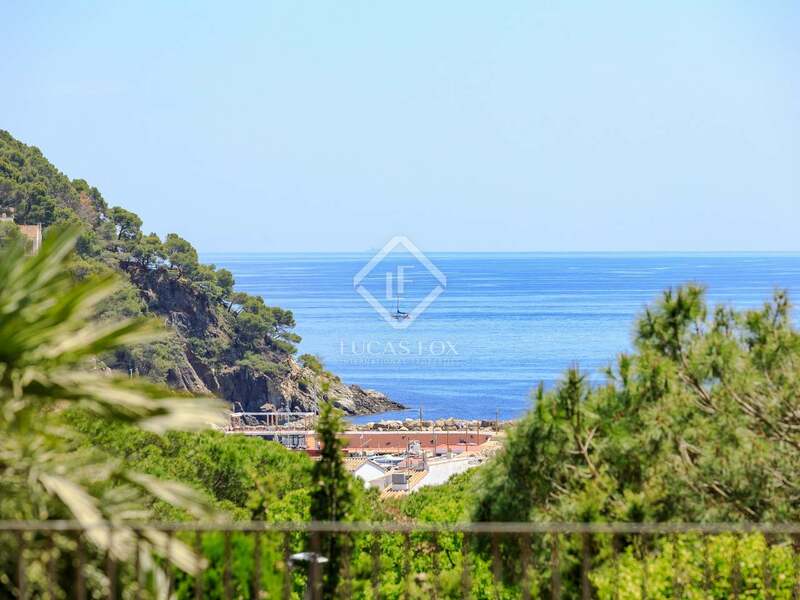 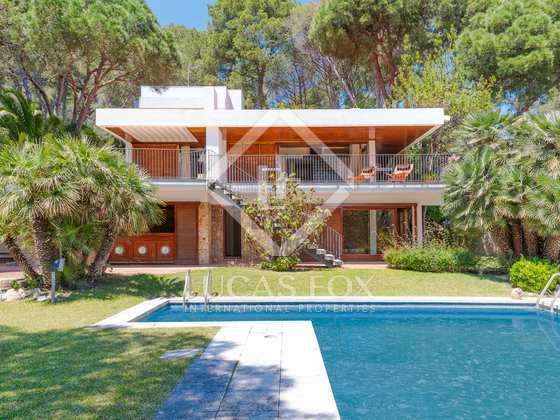 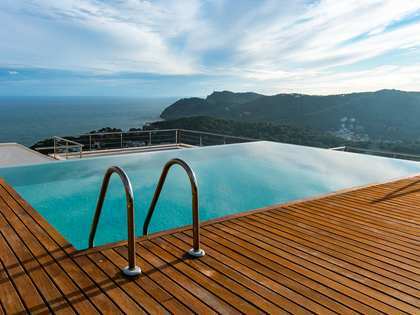 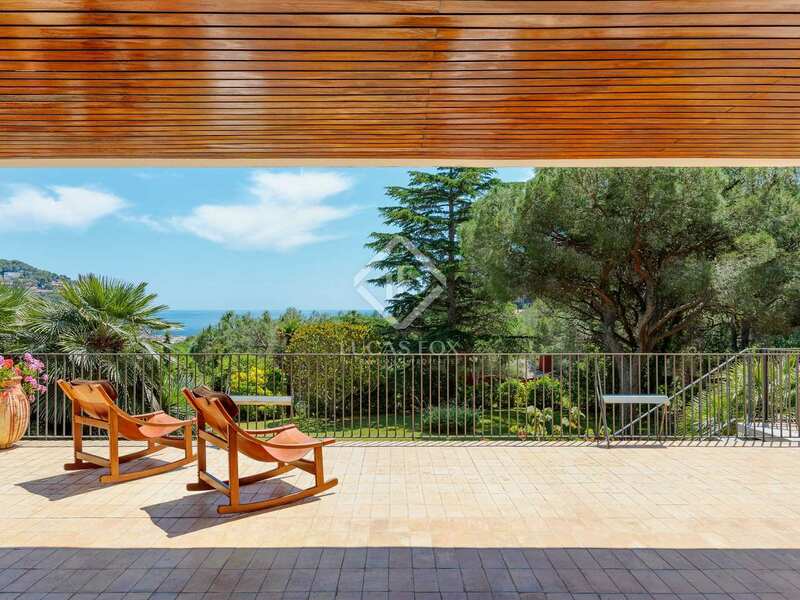 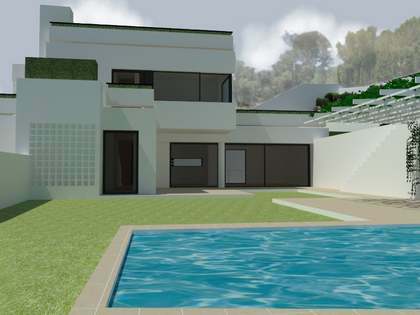 It is equally appealing to investors since it is rare to find a property of this kind in the area and Llafranc is one of the most coveted areas of the Costa Brava, both among national and international clients, meaning high summer rental yield is guaranteed. 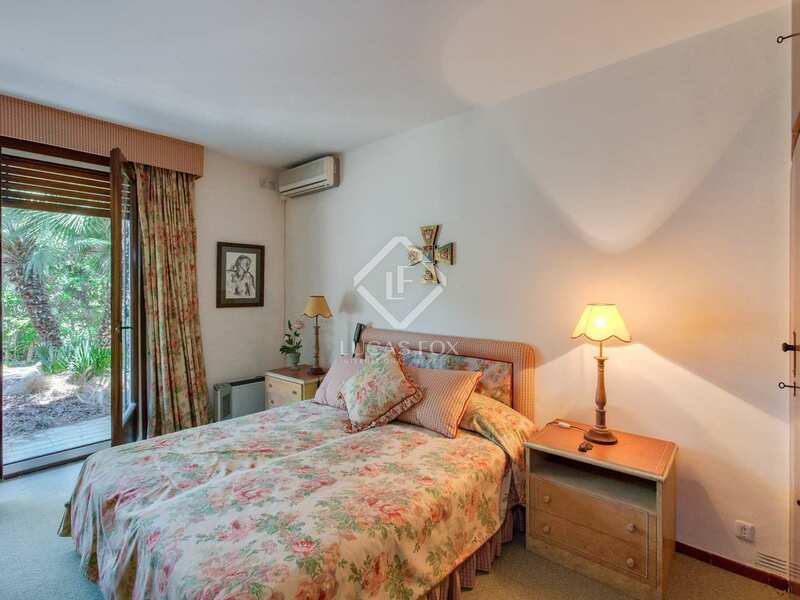 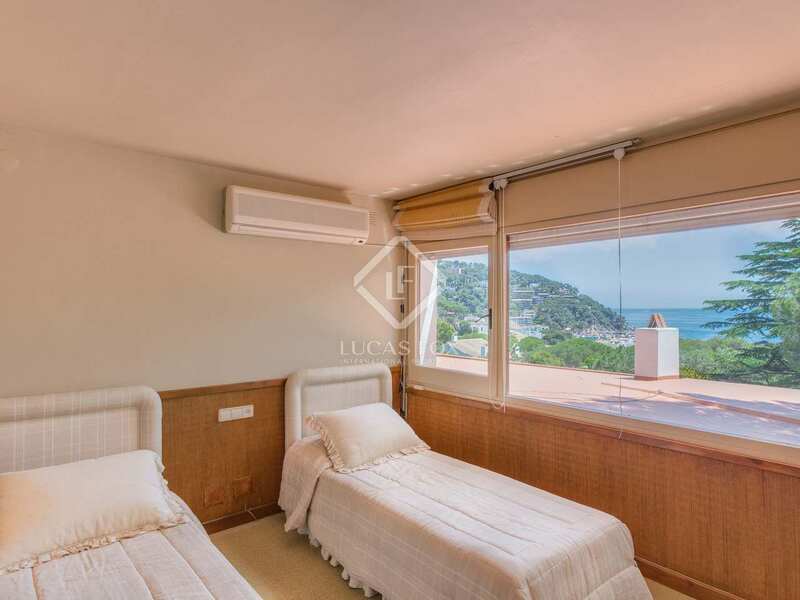 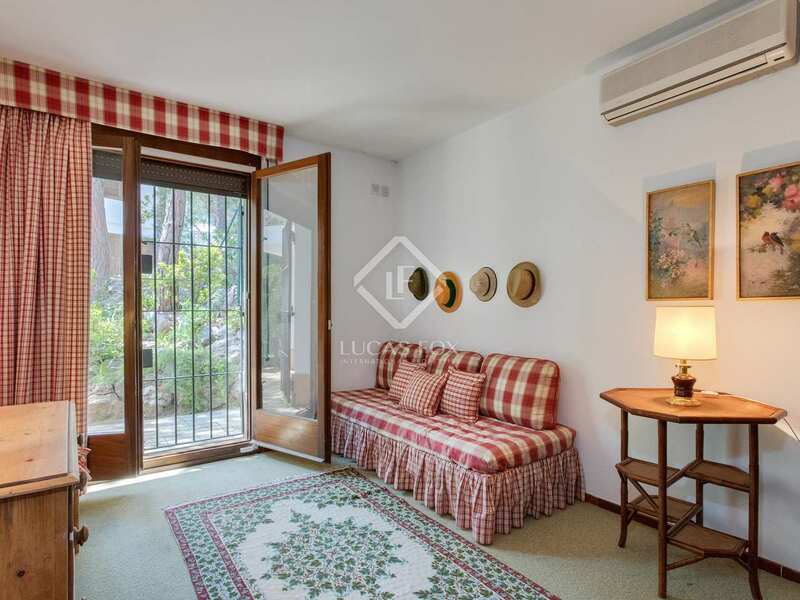 This property enjoys a prime Costa Brava location, in the centre of Llafranc, a mere 200 metres from the beautiful beach and the seafront promenade with its wide range of restaurants and shops. 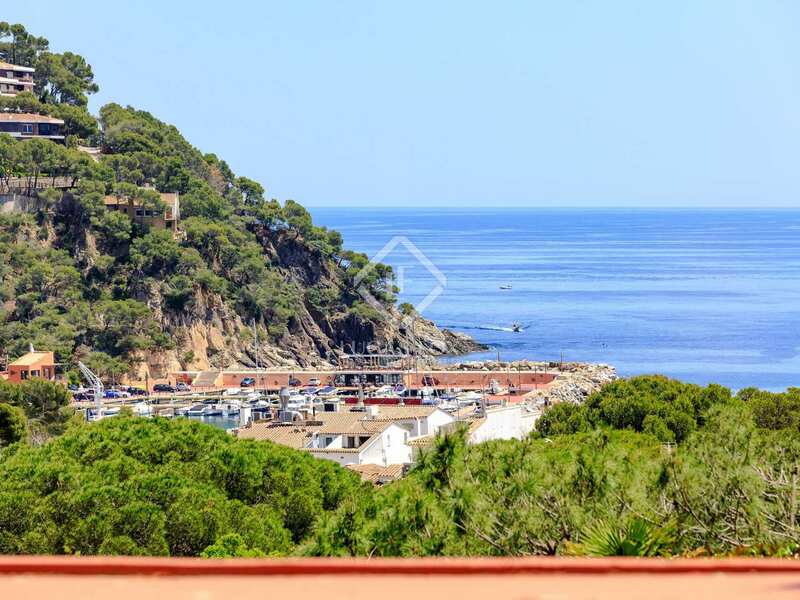 Llafranc has its own tennis club and gym and is just 10 minutes from Calella de Palafrugell which can be reached by taking a pleasant stroll along the seafront. 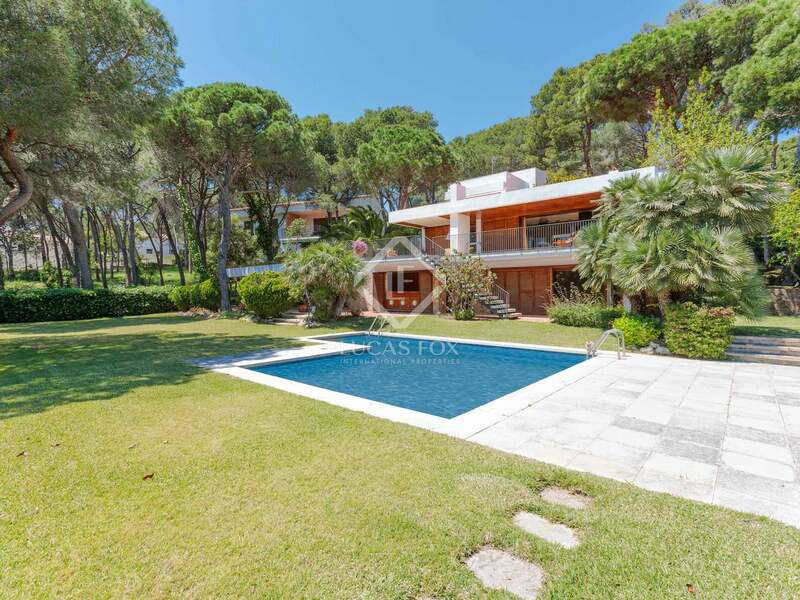 There are several golf courses within just a few kilometres of the property.